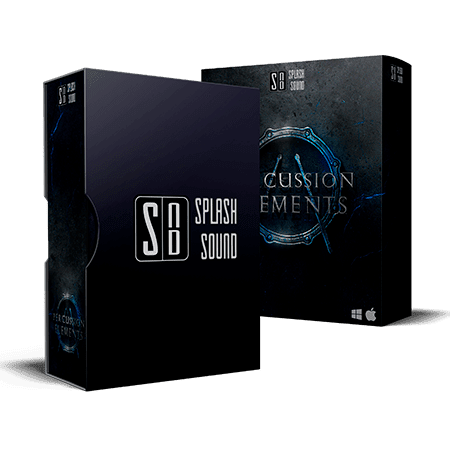 Splash Sound - Percussion Elements KONTAKT Library is a Free Try Pack of the library Splash Sound: Epic Percussion. Combination of 4 microphones’ positions (Close / Overhead / Room / Hall) gives you an essential sound that suits your creative ideas. From close and dry sound to long massive hall. 21 built-in rhythmic phrases with auto project time stretch that were added to motivate your creative process. 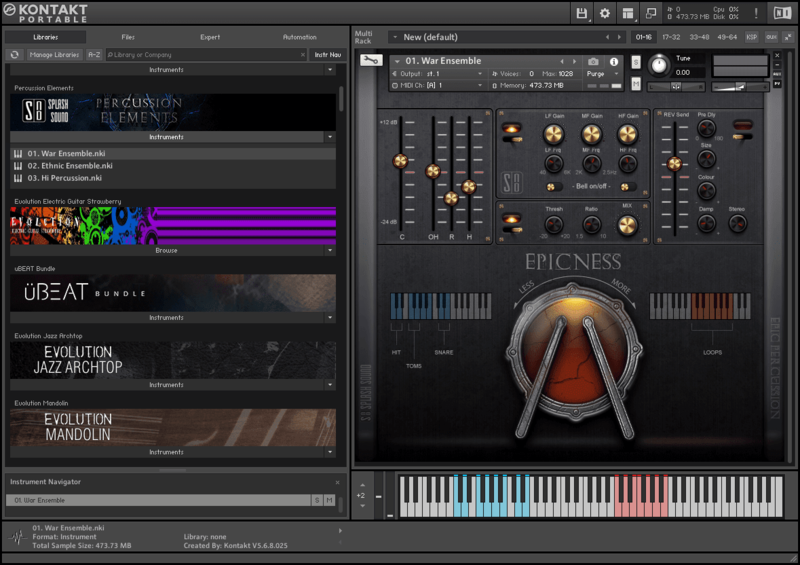 All required effects (Eq, Compressor, Revrb, Punish) are included in library’s interface and get quickly change essential characteristics of sound.